The normal swallow is completed with the teeth in full occlusion (contact between the upper and lower teeth). When patients develop deviate swallows they turn their tongue into an orthotic that leads to cascading problems. The scalloped tongue, most commonly found on the sides of the tongue are actually the impressions of the teeth as the tongue remolds for improper use. Patients with deviate swallows can adapt to incorrect jaw position when they are awake but as they fall asleep the muscles relax and the airway collapses. 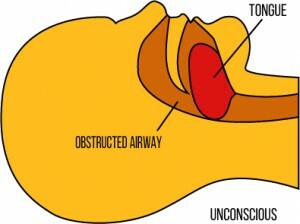 This can be simple snoring, UARS (upper airway resistance syndrome) or Sleep Apnea. Sleep Apnea in children leads to ADD, ADHD, Behavioral Disorders and decreased intellectual performance. Deviate swallows are also associated with over closed bites and forward head postures. Sleep Apnea affects every system in our body in a negative fashion. There is almost always abnormal swallowing in patients with scalloped tongues. While our muscles can adapt, repeated adaptations lead to repetitive strain injuries. TMJ is a Repetitive Strain Injury similar to Carpul Tunnel or Tennis Elbow. In children, it tells us to worry about airway and development. In adults it usually means early intervention opportunities were missed. If you are experiencing troubles with your jaw, TMJ could be the culprit. Otherwise referred to as a temporomandibular disorder, it revolves around issues with the temporomandibular joint. This vital hinge is the connection between the lower and upper jaw. When everything is working properly, it is a true thing of beauty to see this essential part of the human body at work as a combination of bone, nerves, ligaments, and muscles engage in fluid movement. You should have no problem with biting, chewing, yawning, or talking. However when something is out of balance, there is an issue with the formation of the jaw or mouth, the jaw is undergoing undue strain due to stress, or inflammation has affected any part of the joint and surrounding muscles, you could find yourself dealing with a gamut of unsettling symptoms. Burning Mouth Syndrome can be a frustrating dillema and it is usually multifactorial. It may be due to depression (common with chronic pain), from allergies or reactions to medications, may be secondary to dry mouth or snoring and/or sleep apnea. Burning Mouth may be secondary to a neurological disorder. The classic symptoms of a TMJ disorder focus on problems with the jaw. They can be caused by an injury, such as a blow to the face, continuous pressure on the jaw from teeth grinding at night and clenching during the day, or actual problems with oral structures. In addition to the possibility of sleep disorders that are connected to TMJ, you may even find that you are experiencing trouble with your tongue. When TMJ disorders strike, problems that stem from the jaw can throw every thing off balance in the mouth. According to the TMJ Orofacial Pain Disorders Center, tongue position during swallowing and speaking can be part of the problem with TMJ. Whether improper placement causes a TMJ disorder, or the TMJ disorder results in problems with the tongue, the two are closely related. Numbness, tongue tingling, and TMJ tongue pain are common symptoms that indicate a TMJ disorder. Imagine the jaw is a mechanical structure that must be properly aligned at all times to allow a smooth and easy motion. When it is misaligned, normal functioning is impaired. If the tongue is not allowed to fall into the proper position, it causes strain and could hinder nerve functioning, resulting in discomfort that can truly be upsetting and get in the way of daily life. The tip of the tongue reflex also known as the nursing reflex or kissing reflex is essential for newborns to learn to breastfeed and causes release of oxytocin in the mother. During kissing this release of oxytocin is involved in true, love and feeling safe. This same reflex will make us play with a sharp edge of a chipped tooth until our tongue bleeds. Patient can struggle with a sharp edge and create a host of TMJ problems with both muscles and joints. There are other important tongue reflexes in other areas of the tongue. 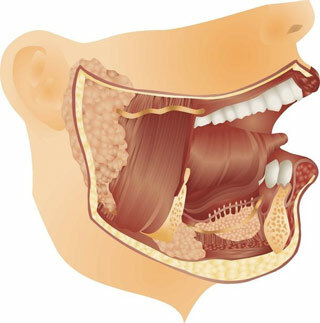 Patients with narrow jaws elicit retrusive tongue reflexes that can exacerbate sleep apnea or cause severe gagging. In order to find a solution for TMJ tongue problems and other symptoms that pinpoint a problem with the jaw, it is important to take the first step and get help. 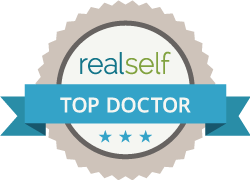 A thorough evaluation from Dr. Shapira is a good place to start. It is important to seek assistance from a dentist who specializes in TMJ disorders, has experience with the host of problems can result, and will draw on the latest developments in technology to resolve the problem. Once your TMJ disorder has been properly diagnosed, we can begin to review your options for treatment. There is a broad range of solutions that can address your symptoms, including any issues that have been affecting your tongue. Generally, the least invasive approach is the first place to start. Physical therapy, relaxation techniques, and the use of an oral appliance at night may be all that is needed to align your jaw properly, providing the relief that you are looking for. More involved treatment options may involve surgery and can be discussed. Discover how TMJ can be treated effectively and become a thing of the past.